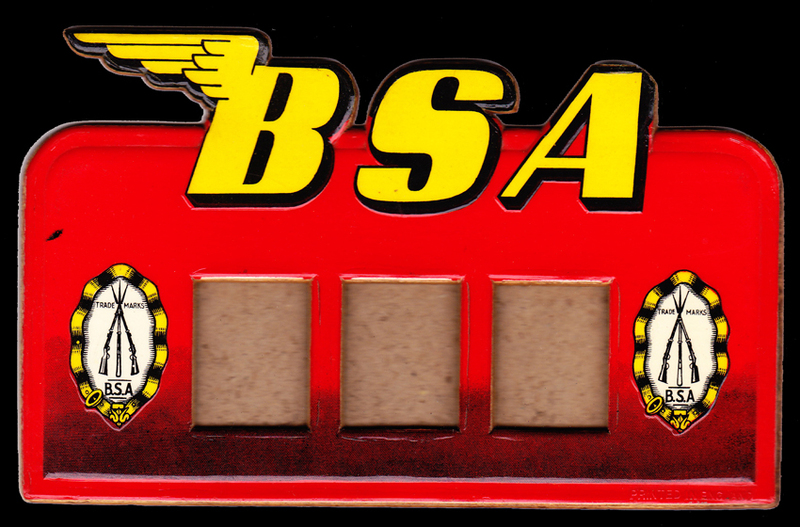 On this page I’ll be adding various bits of BSA stuff I’ve accumulated over the years. 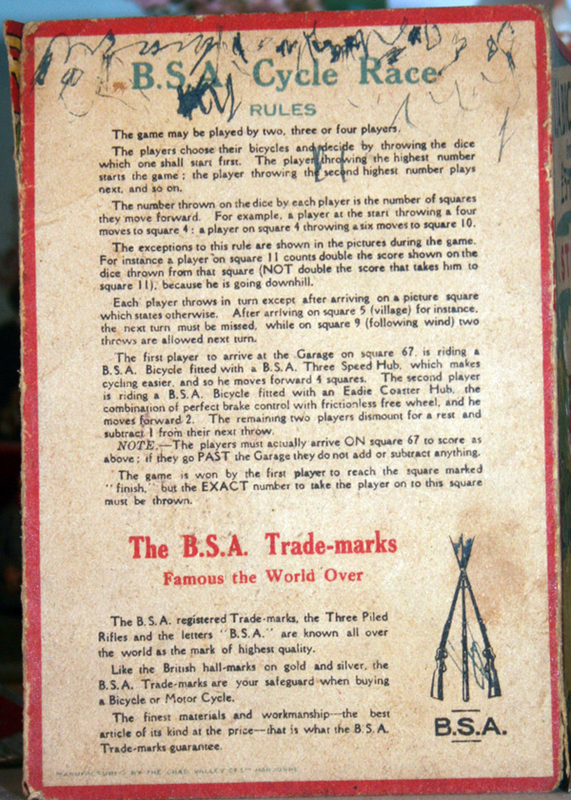 It’s the main advantage of an online museum. Otherwise these things sit in drawers, or on shelves gathering so much dust that I end up putting them into drawers, and I forget I have them. 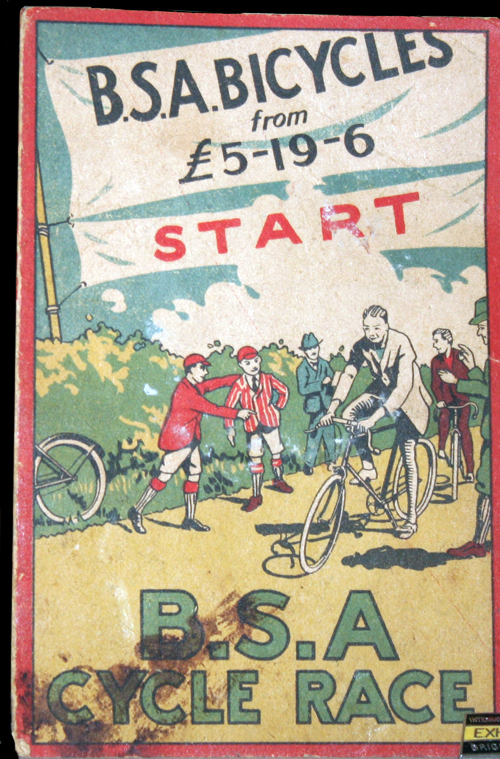 I can see from the price quoted above (BSA Bicycles from £5 19/- 6d) that this game is from 1928. 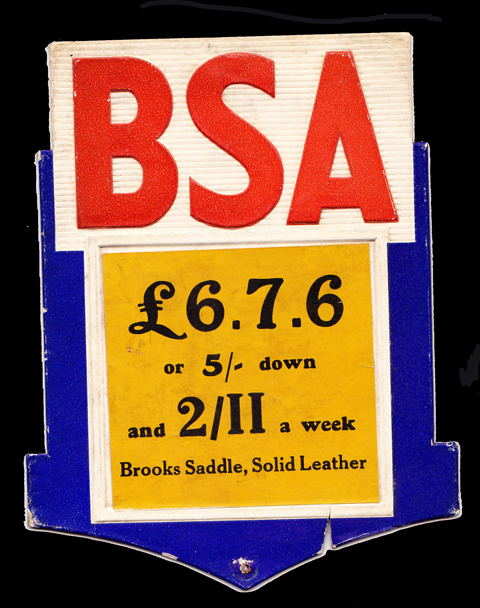 That was the price of BSA’s cheapest bicycle in that year (the Gent’s Roadster). 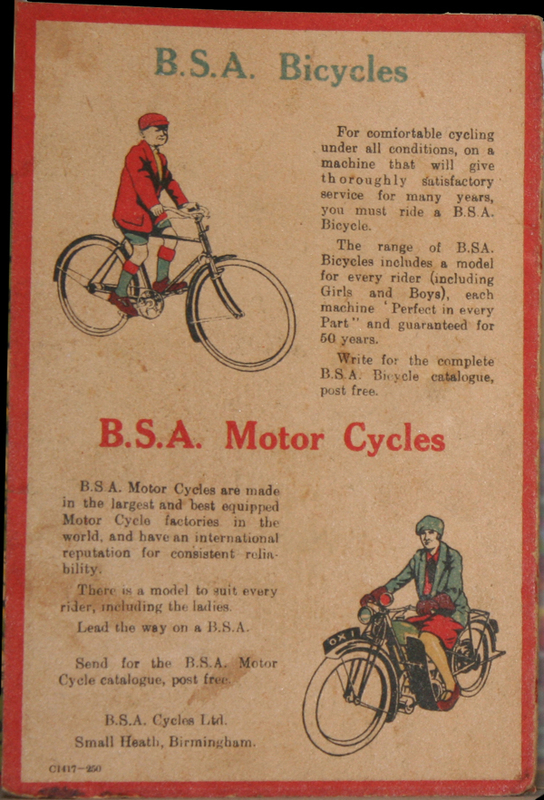 For comfortable cycling under all conditions, on a machine that will give thoroughly satisfactory service for many years, you must ride a BSA bicycle. 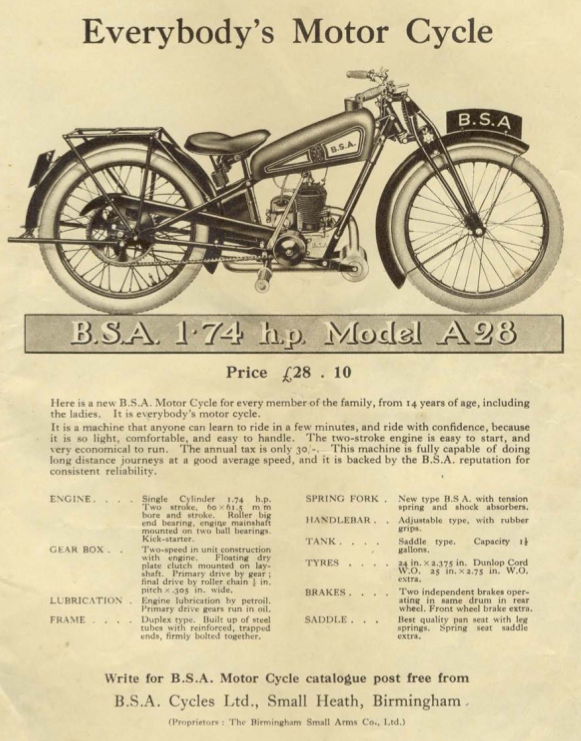 The range of BSA Bicycles includes a model for every rider (including Girls and Boys), each machine ‘Perfect in every Part’ and guaranteed for 60 years. 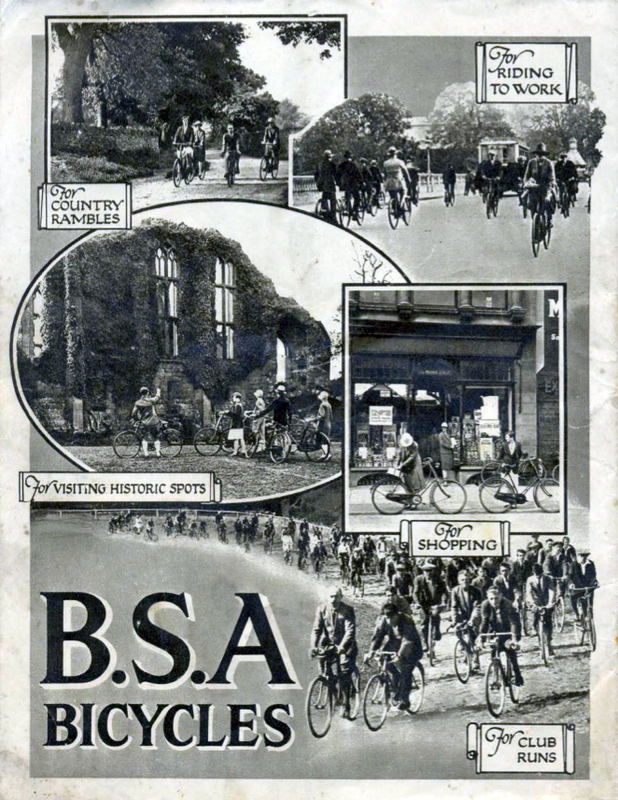 Write for the complete BSA Bicycle catalogue, post free. 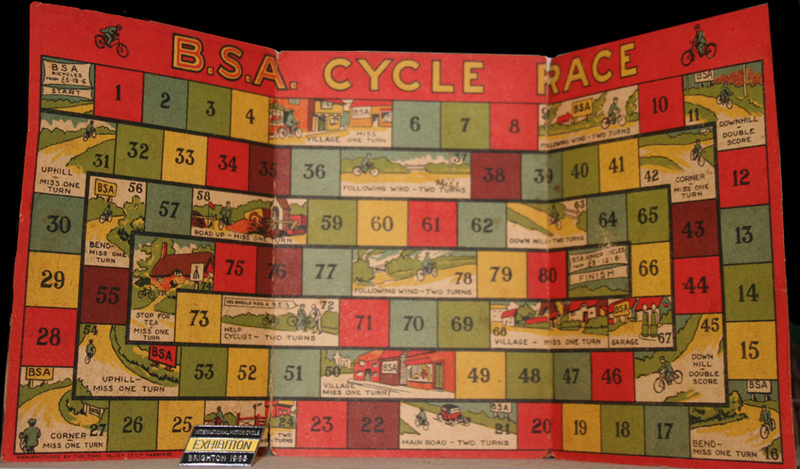 The motorcycle featured on the cover of the BSA Cycle Race game is the 1.74 hp Model A28. 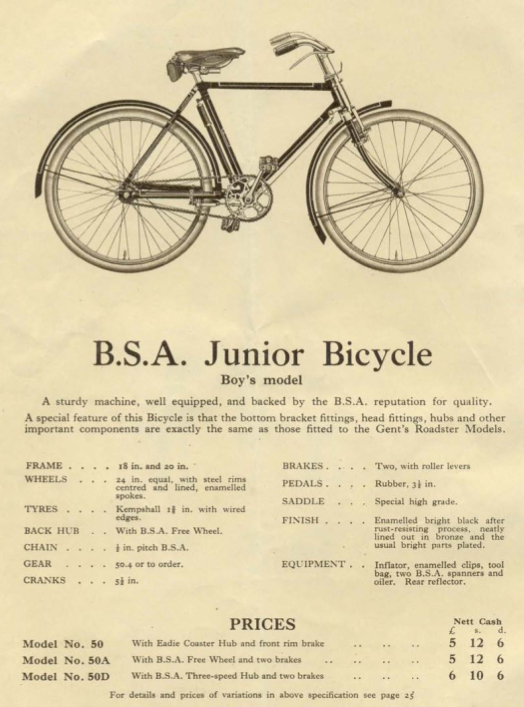 The juvenile bicycle featured is the BSA Boy’s Junior. 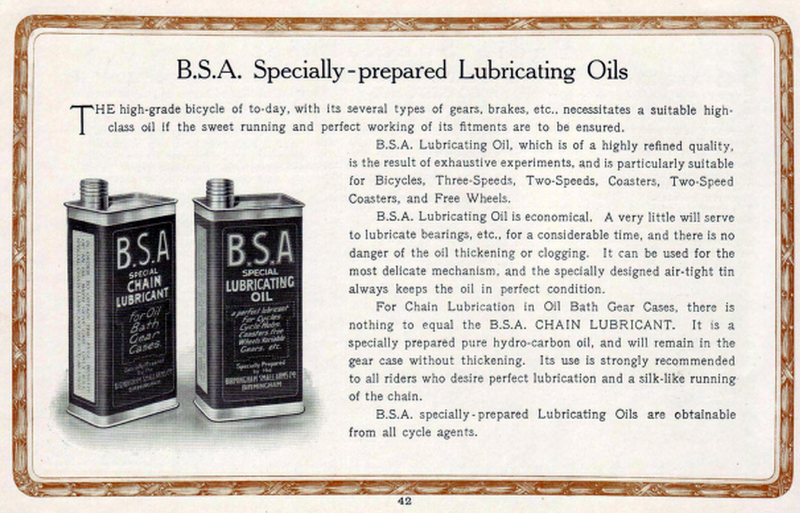 The advert below, for BSA Specially prepared Lubricating Oils, is from the 1914 BSA catalogue. 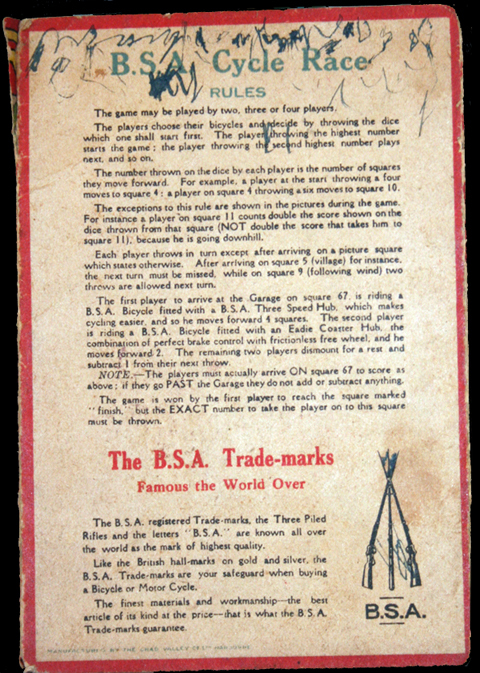 The BSA catalogue extract below is from 1926. 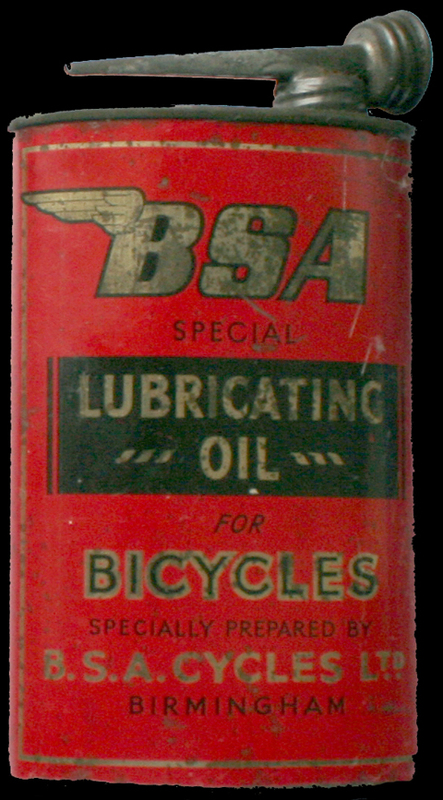 And here’s my postwar BSA Lubricating Oil can by way of comparison. 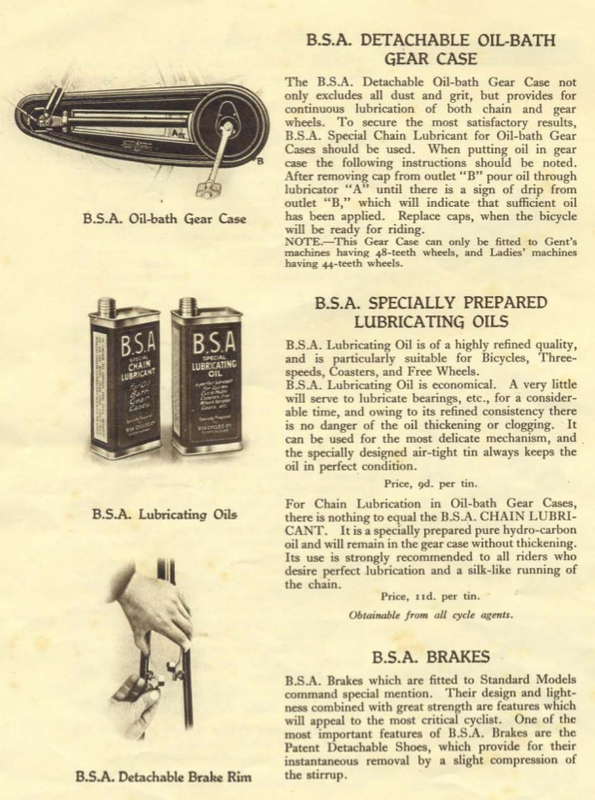 The script on the oilcan illustrated in the 1938-1939 BSA catalogue below looks older, which is why I assume my oilcan to be postwar. 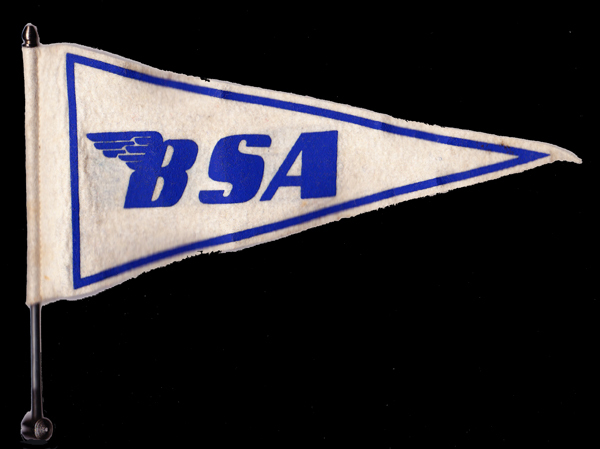 The wing added to the ‘B.S.A’ initials appears to be an easy reference guide to whether an item is pre or post WW2. 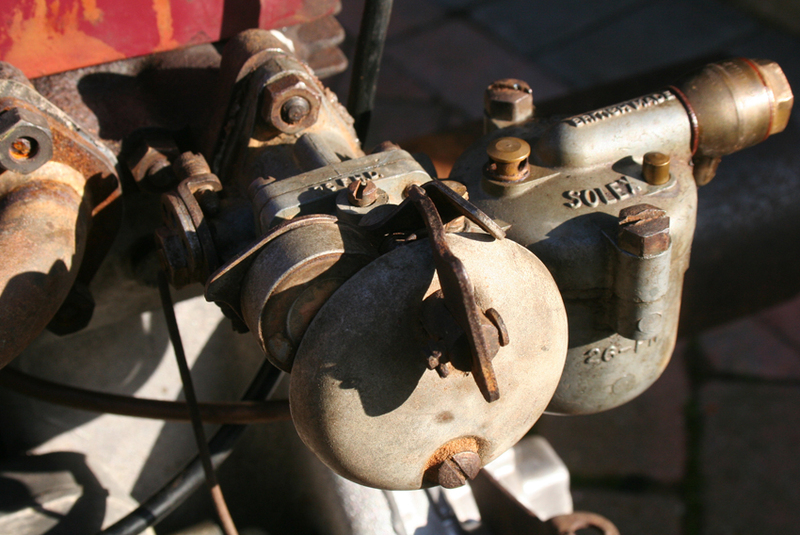 I have to admit that I’m not a stationary engine person. 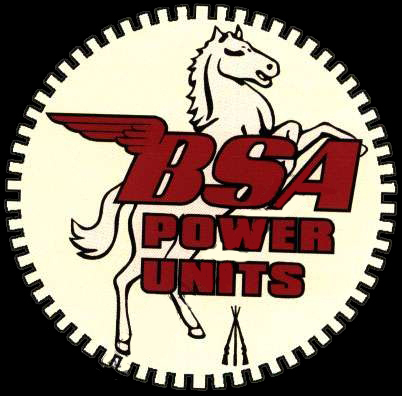 I’ve seen them at steam rallies over the years, and they really don’t do anything for me. 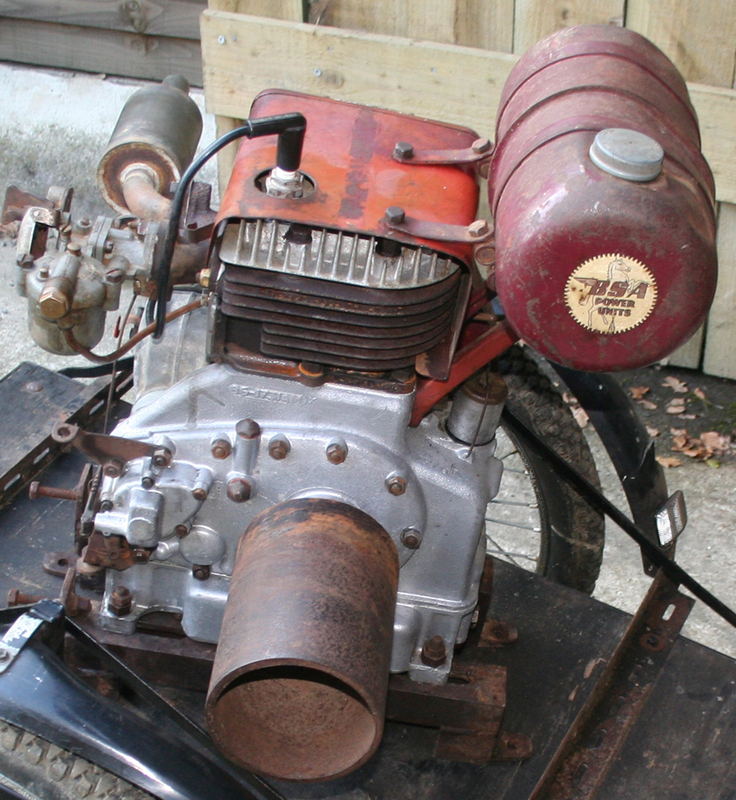 I bought this because it’s a BSA 420cc sidevalve engine and it reminds me of an M20. But I’m not sure what to do with it. 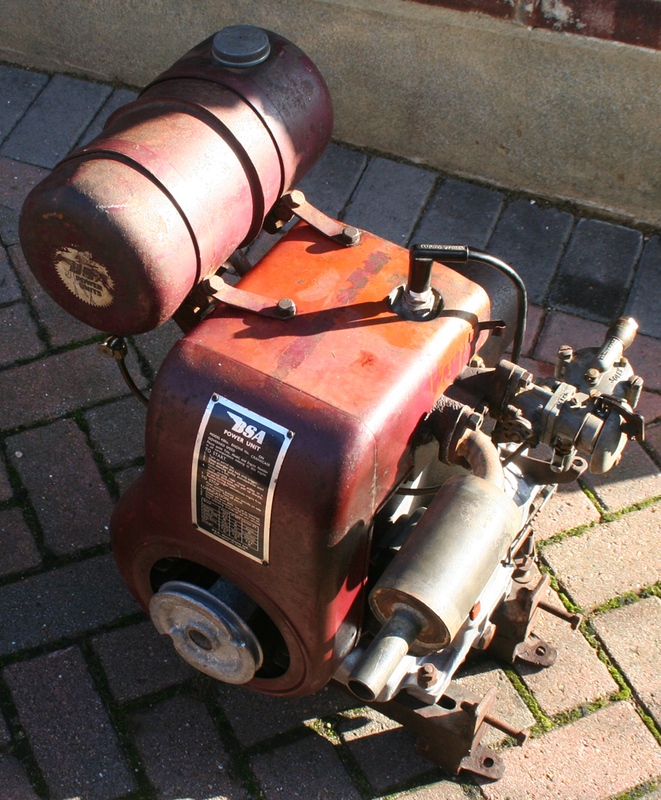 So it sits in my bike shed on a bicycle trailer, and every now and then I trip over it and say I’ll sell it. But I don’t. 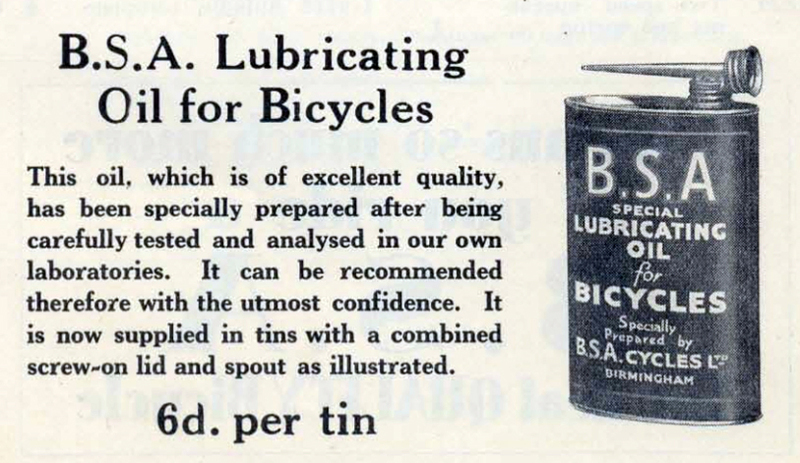 I don’t know why I bought the bicycle trailer either. 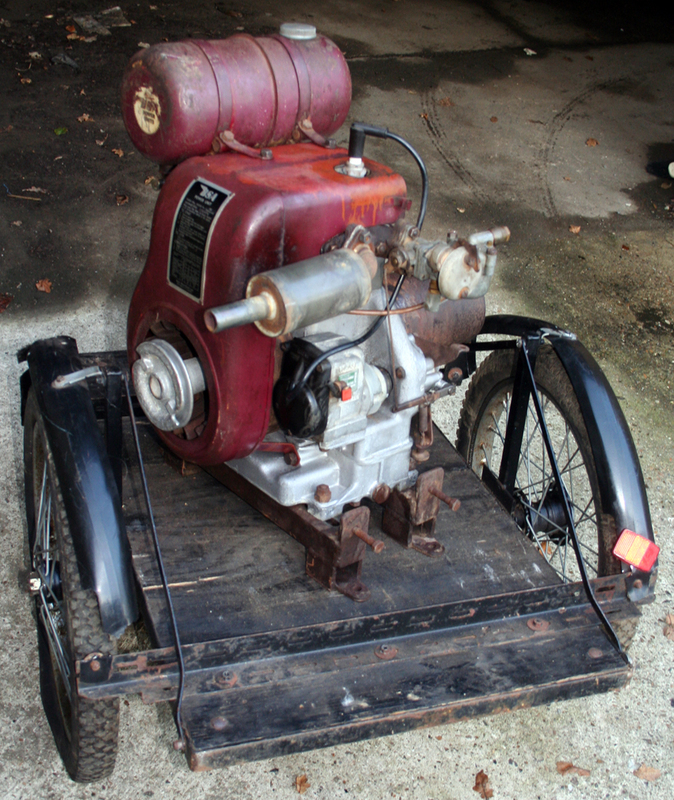 I did get the engine stripped down and restored. 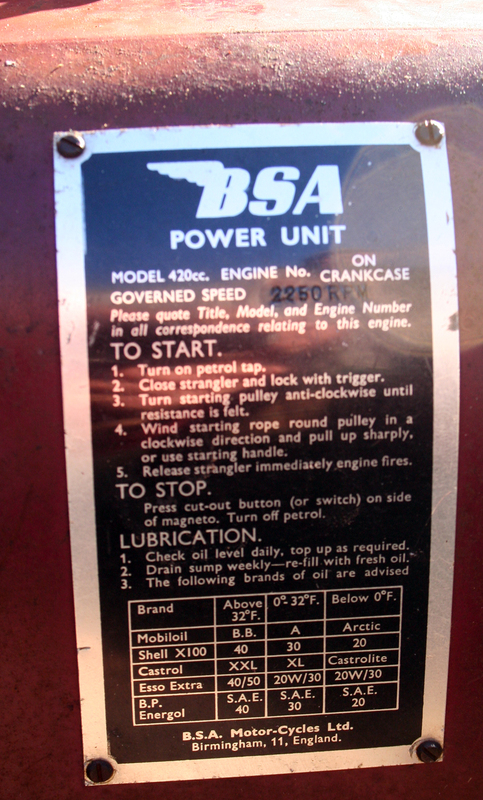 But as it’s pulley operated, I couldn’t work out how to start it without bolting it to the floor. 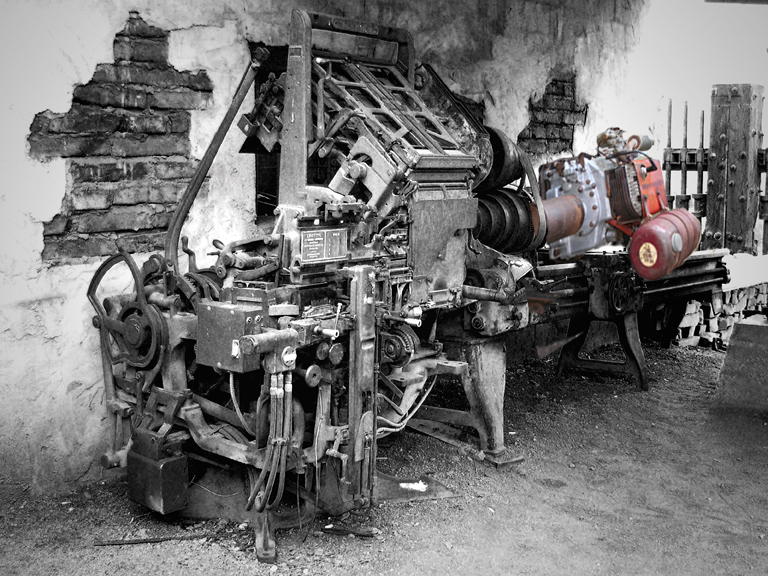 I did consider connecting a belt to the pulley and putting the other end around a printing press to create a stationery engine. 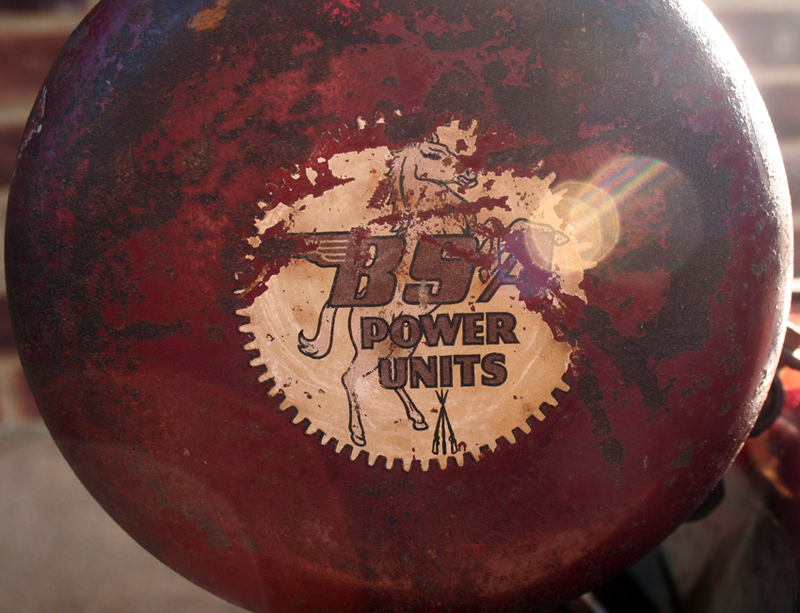 (A stationery engine rather than a stationary engine – sorry, it’s a bad joke).